While there is no shortage of natural wonder in Virginia, many residents simply don’t have the time to take a weekend off to enjoy the view. These 10 nature centers sprinkled throughout the state offer some of the best opportunities to take in the natural Virginia charm on an afternoon with the family, no tent equipment required. Enjoy the Bay like never before in this “environmentally-focused, interactive Visitor Information Center in First Landing State Park.” First Landing is where the original settlers landed in 1607, and the mission of the center is to recreate through historical exhibition, fine art, aquariums, and environmental exhibits a similar experience. Open seven days a week from 9 a.m. to 5 p.m., this is a great day-trip for the whole family. The Audubon Naturalist Society, named for famed bird watcher and chronicler John James Audubon, continues his legacy of making nature enjoyable and accessible for all. The Rust Sanctuary offers free training and programming regarding the watershed process. The sanctuary is situated on 68 acres of forest, ponds, and meadows in which one might encounter any number of wildlife. The sanctuary is open seven days a week. The Broadlands Nature Center is over 5,000 square-feet of natural wonder. Events are hosted throughout the year for residents to enjoy the flora and animals that live in the center. This center is part of a greater planned community, which means potential new Virginia residents should consider moving here if proximity to nature is important to them. The Gulf Branch Nature Center is situated in a park setting and provides “interpretive environmental education programs for all ages.” In addition, the center offers a pollinator garden in which natives can garden. The Blacksmiths Guild of Potomac hosts open meetings on the first and third Friday at the center. Check the website for a full listing of their ever-changing events. The Maymont Nature Center is open Tuesday-Sunday with the small fee of $4 for youth and adults and $3 for children under 12 and senior citizens. The center “holds close to 30,000 gallons of aquaria that showcase many of the animals, aquatic and terrestrial, that inhabit the waters and land of the James River and Chesapeake Bay.” In addition, the Discovery Room offers an up-close look. The Animal Encounters on Saturday and Sunday also lets visitors see the animals up close and personal. The Rockwood Nature Center is a log cabin-style center that offers programs to explore nature for all ages. “Preschoolers can have their first encounter with wildlife and explore the forest. Adults and families can learn about the snakes of Virginia or hear tales around a campfire. Boy and Girl Scouts can bear badges, and teachers and home-school parents can enlist a naturalist for their nature studies.” Sports, such as archery and letterboxing, are also available for groups. The Virginia Living Museum is an open-air museum that combines the aquarium, zoo, botanical garden and science museum experience in one. The main exhibits showcase native Virginian animals and plants. The Virginia Living Museum has so much to offer, it might best be split over two days. The Botetourt Woodpecker Ridge Nature Center is the perfect retreat for bird watchers and nature enthusiasts to enjoy watching wildlife. While mostly self-guided, the center offers some programing, including a hawk-watch platform, feeding stations for songbirds and hummingbirds, and butterfly gardens. All kinds of birds, fauna, and other wildlife live in the center. For the bird enthusiast in you, its well worth the trip. The James River State Park preserves the Kanawha Canal, and offers visitors over 15 miles of biking, hiking, and horseback riding, in addition to the regular wildlife views. Primitive campgrounds are on-site and open year-round, which is good, because if you visit you might not want to leave. 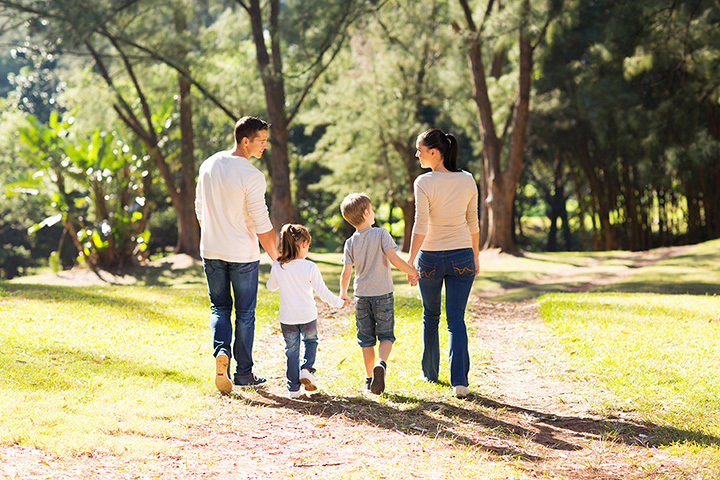 The nature center is great, but make sure to spend time enjoying the rest of the park, too! View more Virginia Nature Centers and Botanical Gardens.